Spring is officially here! And, as every seasoned driver knows, with spring comes rain. To stay safe while driving on wet roads this spring, ABRA Auto’s dent removal experts have put together a list of their top three tips. Check them out below. 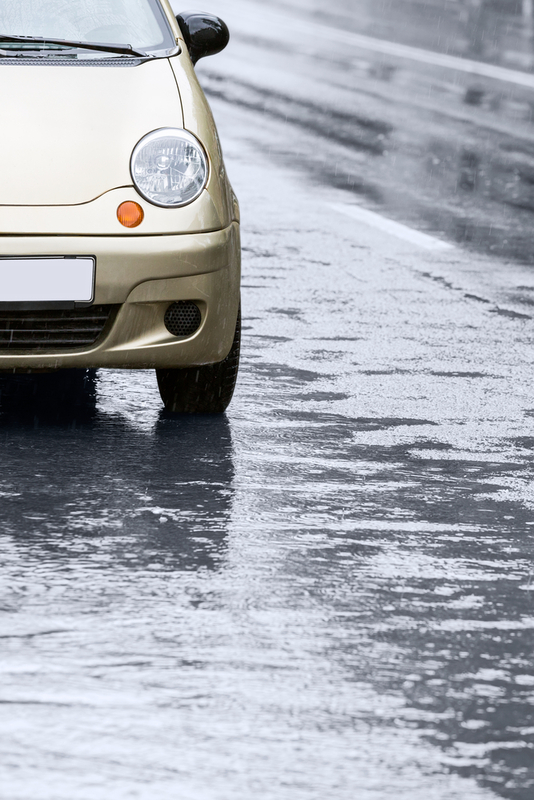 Hydroplaning is the most common cause of automotive accidents on rainy days. To reduce your risk, try decreasing your speed when the roads are wet. Also, remember that the roads are slickest just after rain starts. If possible, avoid the roads until the precipitation stops or at least until it’s been raining for at least 15 minutes. Wet roads can also impede your breaks. To prevent collisions, you should create additional space between you and the vehicle in front of you. ABRA’s auto body technicians recommend adding at least one to two extra seconds of following time. Even if there’s daylight, you should always turn on your lights when it rains. Doing so will help other drivers see you, thus reducing your risk of being in an accident. Visit ABRA Auto for World-Class Dent Removal! If you are involved in an automotive accident, whether caused by rain or by any form of precipitation, you can rely on your nearest ABRA Auto. With state-of-the-art techniques and knowledgeable auto body technicians, their team will restore your vehicle back to its original glory. For more on their dent removal services, visit their website.